VGB PowerTech, the international technical association for electricity and heat generation, bundles the issues and tasks related to electricity and heat generation that are of joint interest to the entire power industry, i. e. operators, manufacturers, service companies as well as research and development institutes. VGB PowerTech also coordinates relevant activities of member companies with government institutions and additional partners in international cooperation worldwide. The current issues and topics of the activities of VGB PowerTech e. V. and its associated institutions – Kraftwerksschule e. V. (Power Plant Training Centre), VGB Forschungsstiftung (VGB Research Foundation), and VGB PowerTech Service GmbH – are presented in the annual report. 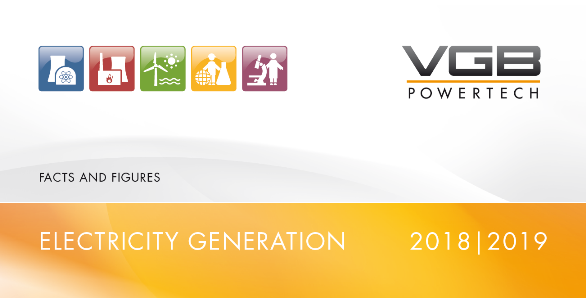 With the current Annual Report, VGB PowerTech presents the results of its activities for the reporting period 2017|2018. VGB PowerTech bundles the issues and tasks related to electricity and heat generation that are of joint interest to the entire power industry, i. e. operators, manufacturers, service companies as well as research and development institutes. VGB PowerTech also coordinates relevant activities of member companies with government institutions and additional partners in international cooperation worldwide.